There is a place in Sevastopol carefully storing the heroic glory of the great city. The most famous in the former Soviet Union artillery fort is known as the 35th coastal battery. Located in the area of ​​Blue Bay, it has become important for the construction of the Black Sea Fleet. It was here back in 1941 a meeting of the military councils of the GRA (the Sevastopol Defense Region) and the Maritime Army, at which it was decided to terminate the defense and evacuation. During the bloody battles killed more than 80 thousand defenders of the Motherland. But this allowed the victim to delay the onset of the Crimean blitzkrieg army of General von Manstein. Thanks to the brave soldiers, the enemy troops were not able to quickly gain Sevastopol. The place for evacuation was located very close to the 35-th battery. There was left virtually nothing from it. Only a lonely standing rock with a lonely protruding rail reminiscent of those terrible events. After the war, the restoration works were carried out. But the fortress used the existing 130-th battery, so the structure well preserved. Restoration began in 2007 alone. Enthusiasts-citizens spend restoration by charitable donations. During the work there was found and defused a lot of shells and mines left over from the bloody events. Now at the Museum "35th Coastal Battery" exhibits and exciting tours are conducted. The most interesting buildings to visit are considered the catacombs, where you can see the guns and shells obtained during excavations. In addition, tourists can walk through the stores, infirmary secret passages and arsenals. Memorial complex to the heroic defenders of Sevastopol is memorial complex in the territory of the 35th coastal battery. It was built at the site of the last line of defense of Sevastopol in late June—early July 1942. The complex includes military-historical objects (preserved casemates 35th coastal battery), contemporary memorial sites (the Pantheon, the Memory of the fallen Necropolis, the chapel of the Archangel Michael, the monument to the personnel of the 2nd municipal) and the objects of life-support complex. Area MIMK MSG "35th BB — 7.91 hectares. The complex located in the Republic of Crimea, Chersonese Peninsula, 150 meters from the road to the left when driving from the Cossack Bay in the direction of the lighthouse Chersonesos, Sevastopol. In July 4, 2006, according to decision of the Sevastopol city Council the complex of coastal fortifications of the 35th coastal battery with the adjacent territory was carried to lands of historical and cultural heritage. A great contribution to the creation of a Museum of historical-memorial complex "35th coastal battery" was made by Alexey Chaly, entrepreneur, February 2014 — "people's mayor" of Sevastopol, September 22, 2014 — Chairman of the Legislative Assembly of Sevastopol. The Russian TV program "Wait for me" addressed with request to respond to everyone, who was in Sevastopol in the days of the defense, whose family defended Sevastopol, including in June—July 1942. At the National Museum of heroic defense and liberation of Sevastopol, the city Council began to receive letters-responses with memories and photographs. These documents, as well as artifacts, found during the clearing of the casemates of the battery and the construction on its territory, became the basis of Museum collections MIMK MSG "35th BB. Work on clearing and demining of the territory began immediately after the permit for the excavation and exhumation in March 2008. July 3, 2008 (the anniversary of the official end of the second defense of Sevastopol in 1941-1942) the 1st tour (power station, unit 2 cannon towers, quarters, infirmary, mess-halls memory) was opened. In July 3, 2009 the 2nd tour route (transition corridor, block 1st tower, HLF, the air intake (emergency exit)) took effect. 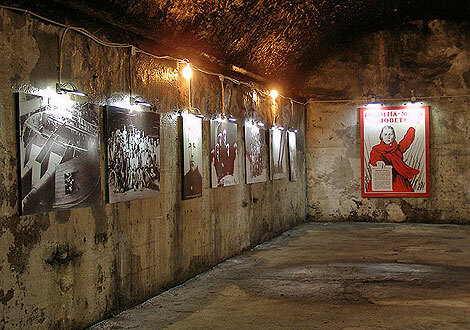 In July 3, 2010 3rd tour (postern deep-lying, Eastern block KDP) was opened to the public. In July 3, 2011 the Pantheon of Memory was inaugurated, inside of which is now 27 thousand names of the last defenders of Sevastopol. Then the consecration of the chapel in the name of Archangel Michael. All construction sites and museums, under the project, were completed in April 2012. Since the start of construction research work on the search and identification of the victims of the defenders of Sevastopol conducted. During the past three years, the list of installed names of the last defenders of Sevastopol, who was here in July 1942, had expanded to 40,000 people. 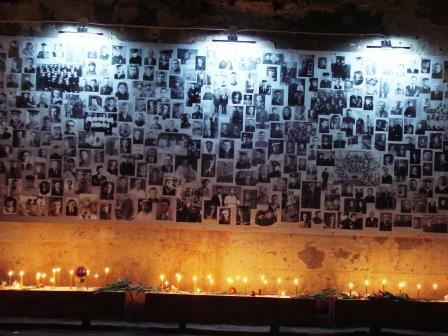 As of August 2014 the remains of 163 of the defenders of Sevastopol (including 5 children) were found and interred. 8 people were identified, and the search operations to establish the names and location of relatives for another 4 warriors are continuing.